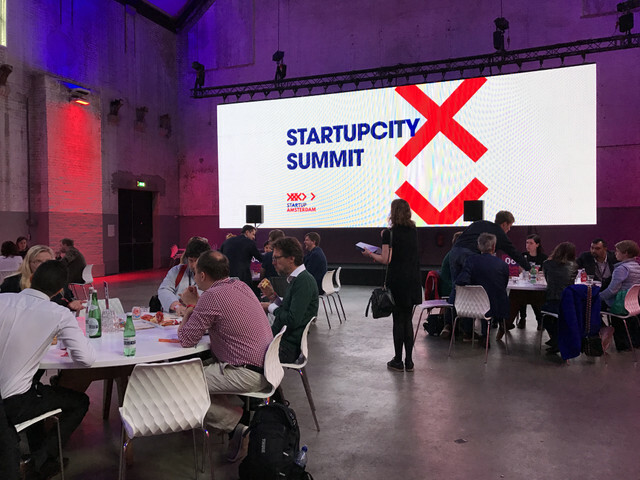 We had an amazing, enriching, fruitful and full of strong networking here in Amsterdam, but the highlight was definitely The Next Web conference held on the 18-19th of May. It’s the 11th time that TNW Conference is happening, but this year it was bigger, better, and totally justified the slogan - “More than a conference”. 15,000 attendees showed up this year, from all over the world, to exhibit their products, watch interesting speakers, learn new things (Like building a chatbot) at workshops, take part in unique sessions, look for new opportunities and most importantly - connect. 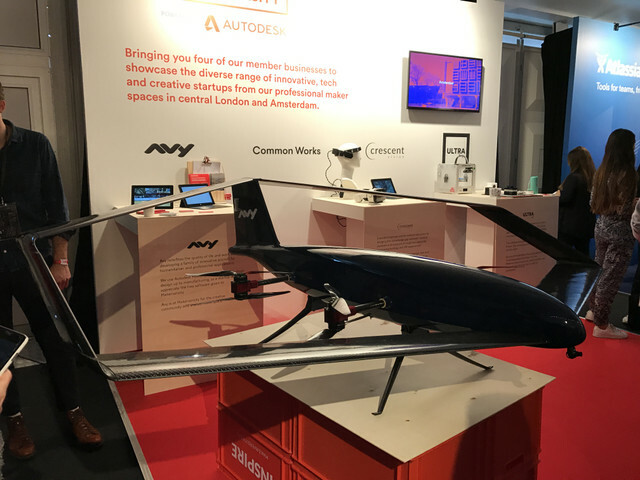 We went to the conference to scout and look for ways of helping Israeli startups by building a bridge between Israel and the Netherlands, and the conference was perfect for it, but in the meanwhile, we had time to look around. The first thing we did was visit at the exhibit areas. If you’re quick enough, you can get all the coolest freebies. Well, kidding, but we did start with the startup the gave the best freebies - Typeform. This startup is based in Barcelona and lets users create user-friendly surveys easily. Why had they the best giveaway you ask? 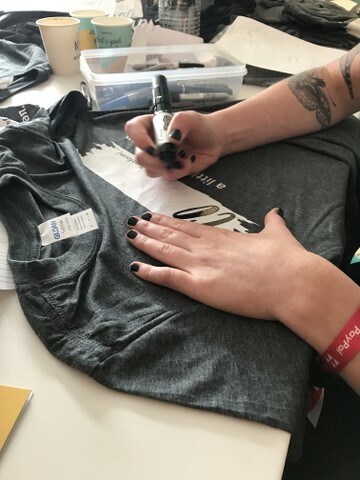 Well, they created shirts where you can you fill “I make ______ more human”, and calligraphy artists filled in the word for you. So, it’s also an amazing gift that also corresponds with the brand and their message. Thirsty for homemade beer? Meet Minibrew. This local startup from Utrecht brings IoT to the world of breweries. It’s a smart brewing device that you can control with an app on your smartphone, track, and see how you’re doing. They had a trailer outside that actually served beer made with Minibrew. Nice play. After the beer, it’s time to fly, and not the Amsterdam way. 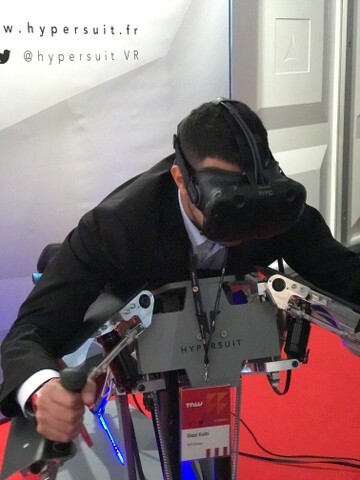 The “booth” that drew most of the attention from the crowd was Hypersuit. This company from Paris built a VR gaming device that demonstrates flying. They sure still have a lot to work on and improve the experience, but it’s definitely an interesting attempt to create something new and exciting with VR. We’ve also met Fadi Khalil, originally from Lebanon but works on an app called Xpose. They developed an app for live reporting quickly. You can either immediately start a live broadcast on the app to share with friends, or more importantly use "Panic" mode to report an urgent situation and call for help, like the app Reporty. Their twist is that you only need to shake your Android device and the app will open. You don’t need to unlock your device and search for the icon. Avy from New Zealand brought a huge drone. O-Craftworkz introduced us to their version of the humanoid Pepper, they programmed it to play the guessing game. Culture Trip from London wants to give you the best non-touristic tips for your trip. We can go on forever, but we need to finish writing this some day. There's no way you'll go to a tech and startups conference without bumping into Israelis - Exhibiting startups and companies, speakers, investors or just attendees looking to connect. 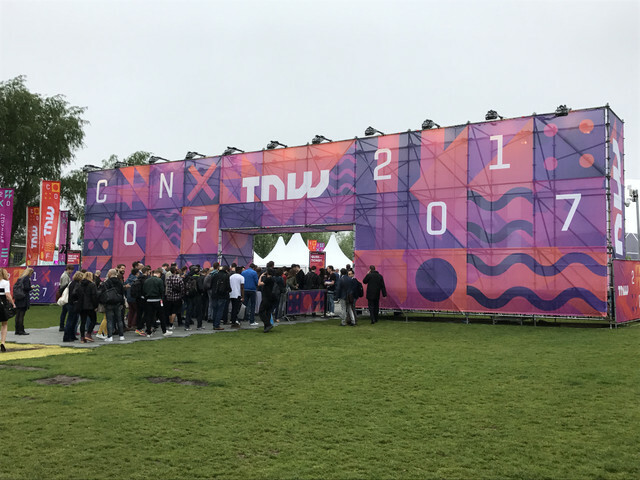 TNW 2017 was no different, although this specific conference not very popular amongst Israelis, yet. We ran into some big shots, such as LiveU from Kfar Saba. Not a small company at all. The company was founded in 2006, employs 300 people, and provides solutions to television broadcasters to help them enabling live videos over wireless networks. Actually, all the live streaming of TNW conference itself was assisted by the products and team of LiveU. Other than live broadcasting, they came to exhibit their latest product LiveU Solo for private customers (With budget and free time) and let them make amazing live broadcasts. Another growing company from Israel that exhibited at the conference is Sisense. They help big companies around the world make sense of big complex data in a user-friendly way, and they came to TNW to show their product. Sisense was founded in 2010 and already raised $94 million, and they are definitely here to stay and grow even bigger. 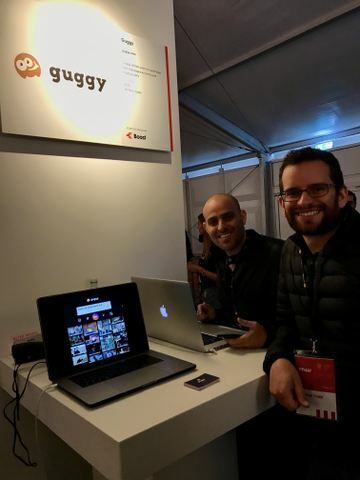 On the second day of TNW 2017, we came across an interesting small startup from Israel called Guggy, that we already met on TAU Innovation Conference earlier this month. The founders Rotem Yakir and Shahar Yakir built an API that turns your text messages to funny GIFs and provides a cool way to communicate, you know, 2017 style. Guggy is already used in Viber, and we hope that TNW exposed them to larger markets and interesting opportunities. We hope to see more Israelis showing amazing technologies and representing Israel in the years to come, so the Startup Nation will not be forgotten. The Next Web 2017 was a great conference. The schedule was bit crowded at times but well organized and introduced interesting speakers and panels. We spent most of the conference networking with key players in the industry at The Assembly event and StartupCity Summit event well-organized by StartupAmsterdam. We learned and taught other influencers from all over the world about ways of building a successful ecosystem. These two days we've learned a lot and met a lot of important people, and it was an amazing celebration of innovation, technology, and globalization. You can be sure you'll find us again in TNW 2018. Follow us on Facebook for all the latest updates. We also a video from the conference coming up.